The 256GB Professional 1667x UHS-II SDXC Memory Card from Lexar features a storage capacity of 256GB and takes advantage of the UHS-II bus to support advanced DSLR functions such as continuous shutter bursts and rapid shooting, as well as raw and JPEG captures. This card is also well-suited for video capture, including 4K, 3D, and Full HD video, and can achieve maximum read speeds of up to 250 MB/s. Thanks to its V60 speed class rating, minimum write speeds are guaranteed not to drop below 60 MB/s. 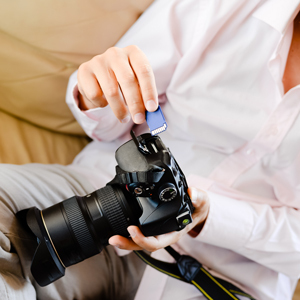 UHS-II cards achieve their speed through an extra row of pins and while this card has been designed for cameras that are UHS-II / V60 compatible, it may be used in devices that do not support UHS-II / V60. However, bear in mind that this card will then default to your device's speed class and bus rating, such as UHS-II and V30, which supports minimum write speeds of 30 MB/s, or UHS-I and U3, which also supports minimum write speeds of 30 MB/s. If your device does not support U3, this card is compatible with the U1 and Class 10 standards, each of which guarantee minimum write speeds of 10 MB/s. Box Dimensions (LxWxH) 6.0 x 4.7 x 1.75"
256GB Professional 1667x UHS-II SDXC Memory Card is rated 1.0 out of 5 by 1. Rated 1 out of 5 by Steven from Fails To Record 4K Video with a Canon 5DIV Just received this card yesterday and am immediately returning. It fails to record 4K video with a Canon 5DIV. 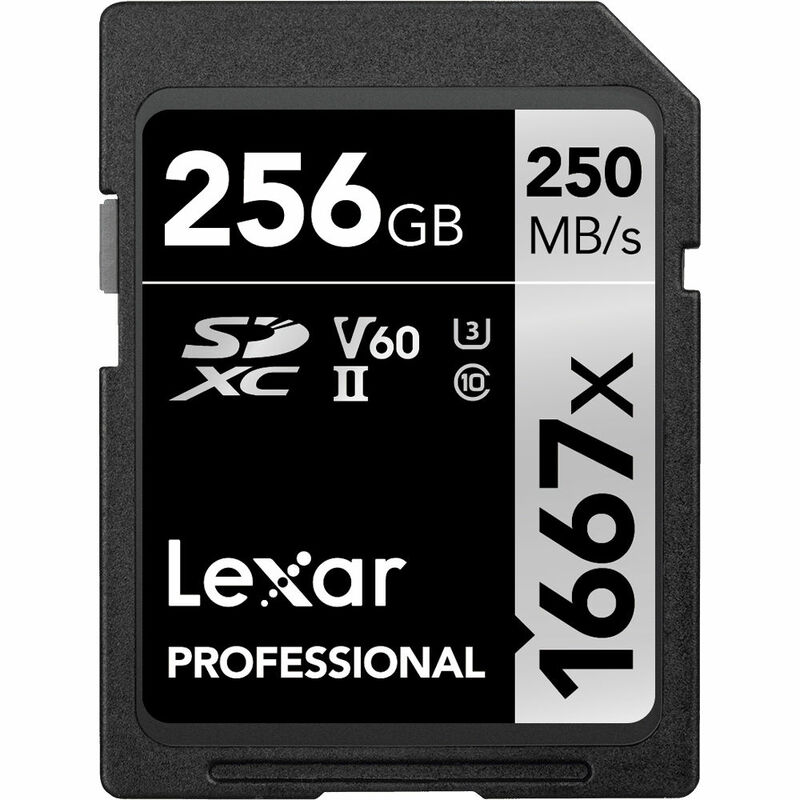 I had same issue with the earlier SD card from Lexar 256GB 1000x and after trying to solve the issue with Lexar ended up returning the cards to Lexar at their request under warranty and have waited 5 months for them to issue a refund. I bought this card because I saw the speed and write time had increased and thought it should work but it does not.